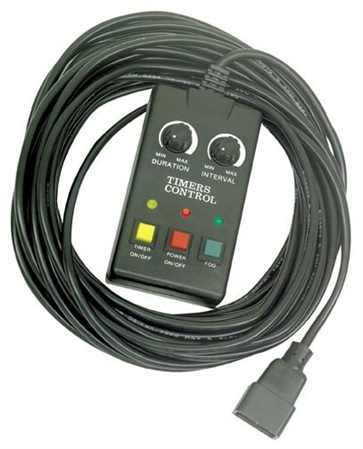 Shop ADJ Haze Generator Heaterless Fog Machine from AMS with 0% Interest Payment Plans and Free Shipping. The American DJ Haze Generator Heaterless Fog Machine is a heater-less special effect fog producing unit. 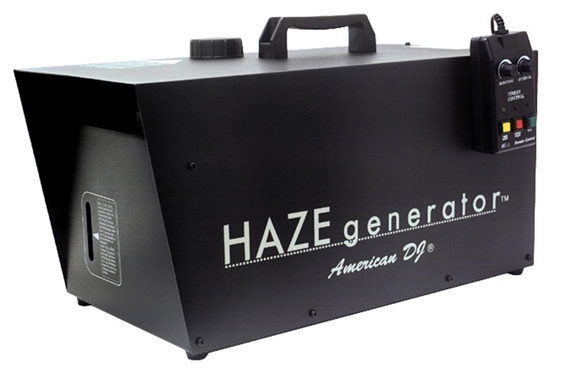 The Haze Generator is designed to produce a light haze to enhance the beam intensity of lighting effects and produce a light smoky atmosphere for theatrical groups. A haze machine will not produce hot and heavy vapor as fog machine, because of this a haze machine is preferred to many theatrical groups for stage productions. Duty Cycle: Not to exceed 6 hours plugged in. Dimensions (LxWxH): 8 x 8.5 x 15 in. Great machine. I was new to hazers always used a fog machine but i love the easy going nature of these machines they bring out the lights and make the atmosphere great without looking like a fire is in the place. I can actually see my guests! Foggers have their place but hazers are way better in my opinion.